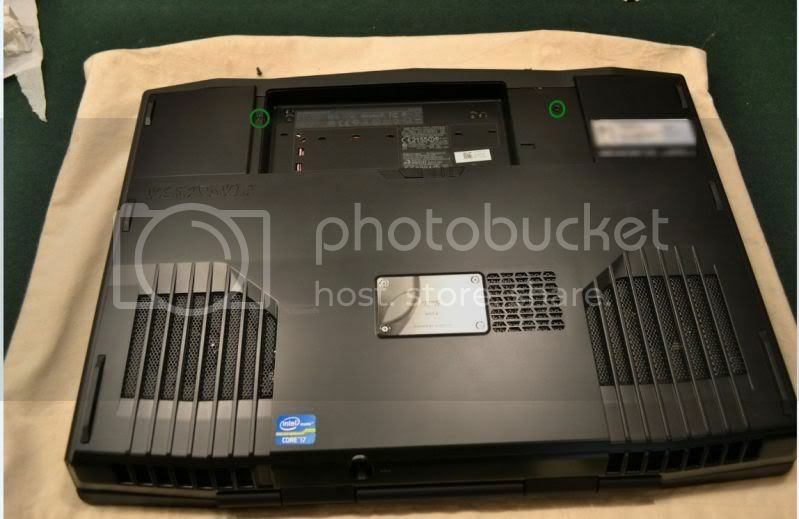 Discussion in 'Alienware 17 and M17x' started by SlickDude80, Apr 24, 2012. Unlike the 6990m that featured manual graphics switching, the 7970m features ENDURO which is AMD's version of Optimus. 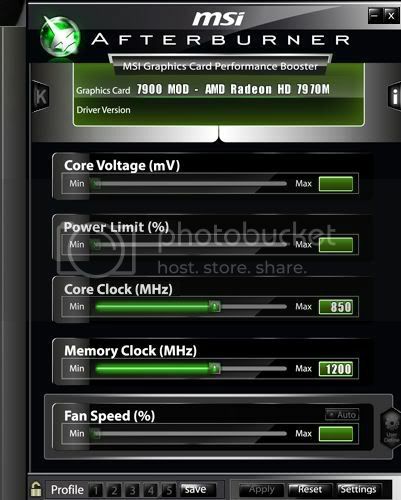 It is dynamic gpu switching aimed at maximizing battery life. At the time of writing, there is no driver support for the 7970m...hence no Enduro. We have to shut off the integrated graphics. 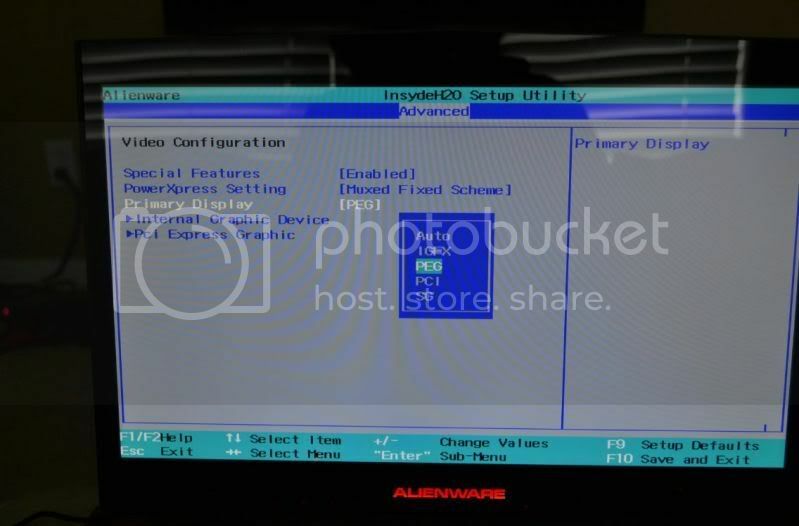 Once rebooted, the computer should be using standard Microsoft video drivers. Shut the computer down. Now look to the bottom right side. 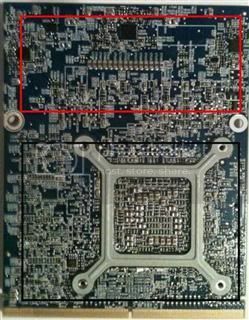 First remove the cpu fan, unplug the power connector (RED circle). 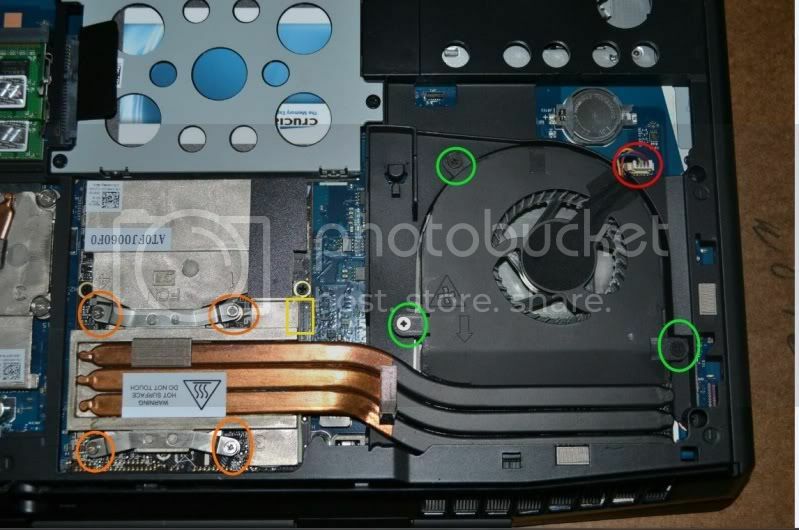 Then, unscrew the 3 screws on the fan (GREEN circles). Next, lift up the fan. Now it's time to remove the heatsink. 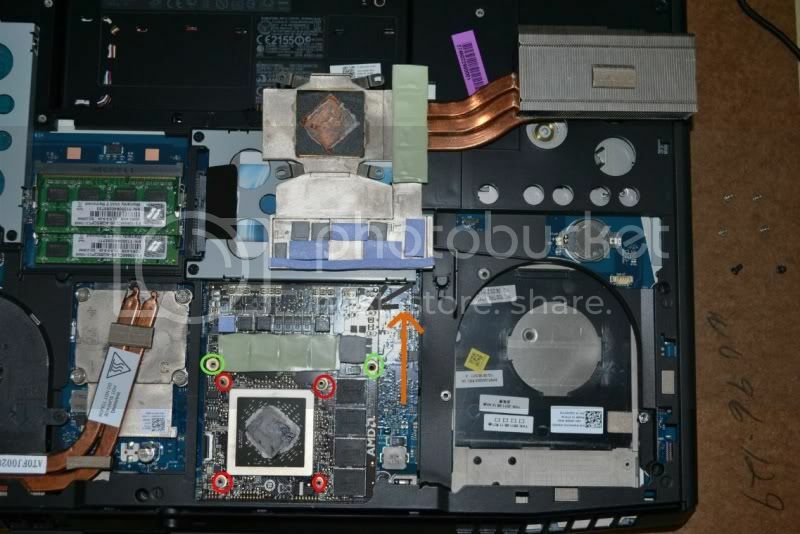 First, unscrew the 4 screws that holds it snug over the GPU (ORANGE circles). Follow the numbers...1-2-3-4, so unscrew 1 first, then 2, then 3 then 4. This forms an X pattern. Now lift up the heatsink. Please be careful to NOT pull on the heatpipes themselves. I found them to be quite fragile. Now we see the video card. 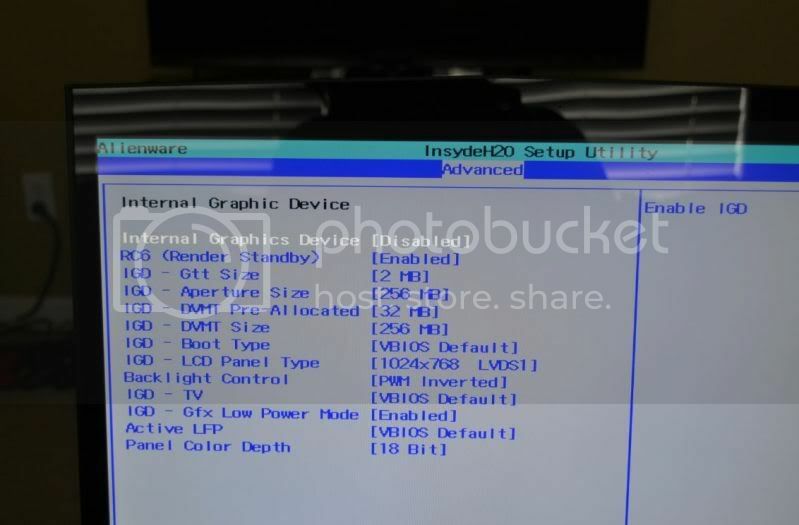 In the pic below we see an AMD 6990m. Next unscrew the two screws that are holding the video card in place (GREEN circles). I just reused the stock pads. BUT it should look something similar to this. 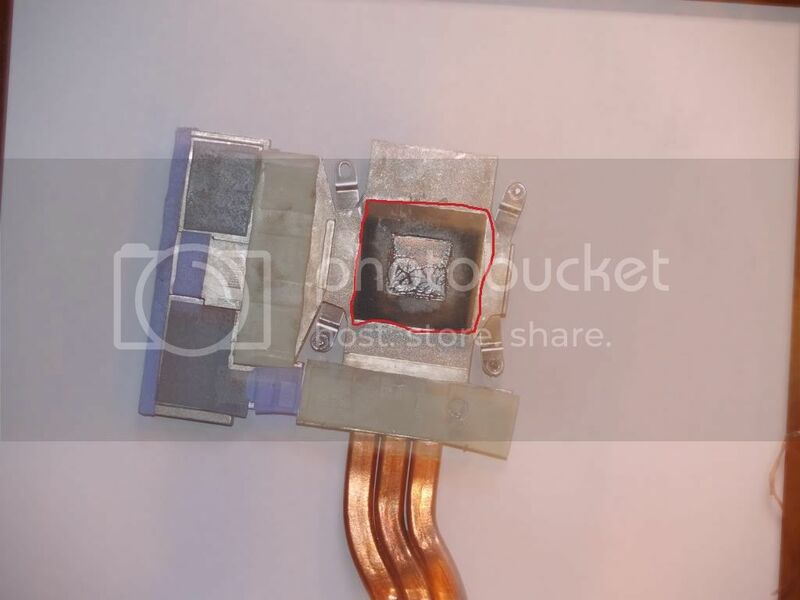 I reused the stock 6990m heatsink as it is identical to the 7970m heatsink. On the back of the card, please either reuse the large thermal pad found on the back of your existing card or put new thermal padding. First install the 7970m into the MXM slot. Push it in at about a 30 degree angle, then push it down. BE GENTLE. 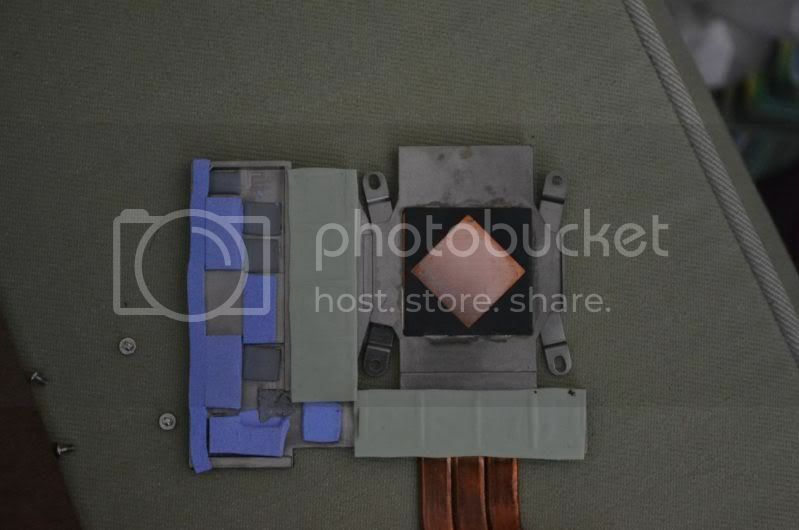 Now you want to insert the heatsink. First slide the vent part of the heatsink to the vent port and gently place the heatsink onto the video card. when screwing in the heatsink down...make sure you do it in an X pattern to keep the heatsink as flat as possible. Follow the numbering scheme...4-3-2-1. Now lets turn on the computer. 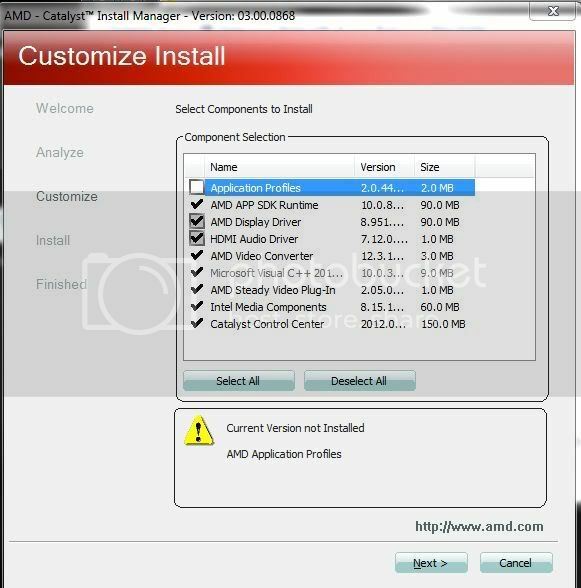 If the video card works, you will boot into windows and be using the standard Microsoft video drivers. 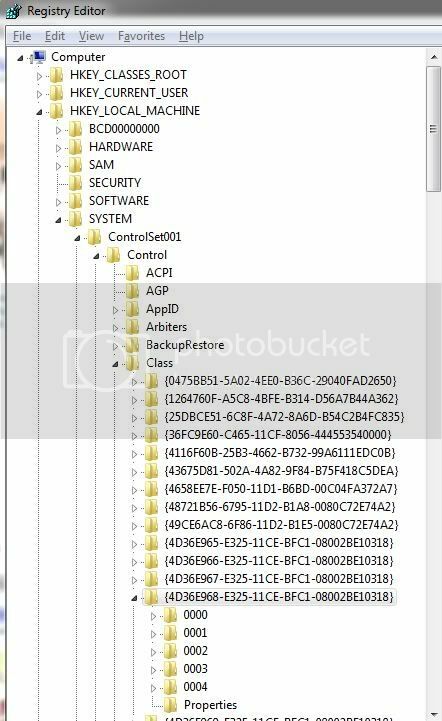 THe card should show up in your device manager as a Standard VGA Adapter. There are other modded drivers there...one specifically named "7900" which you might try but this is the one that i'm currently using and it works. Please experiment as new drivers become available. EDIT: I currently have the 12.7 beta 7900 mod drivers installed and they work great!!!! So you have gone out, bought a shiny new 7970m and you were brave enough to install it. You've turned on your computer and were astounded at the improved performance of your computer. Couldnt be anymore detailed than this! Thanks man! Slick, you are a gift of God to humanity.. so wanna rep you darned thing doesn't allow me!!! I'll keep my ears open for you bro! Wild, thanks for dropping in, you are always welcome here, bro! Oooh blue PCB. Nice. Great guide. 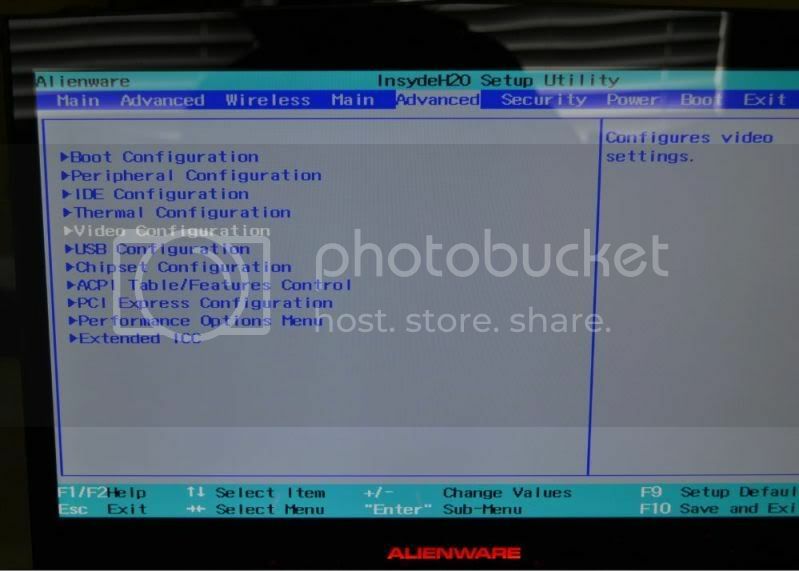 Bidding on a 60Hz display at the moment. If I win at a really low price, I shall join the ranks if I can find a GPU. I tend to remove the whole GPU+heatsink combo and put them in together. That way I can make sure the pads and pastes are placed properly. Is it a bad idea?